Super Energy Converter for boiler, boats, freezer, air conditioner application. 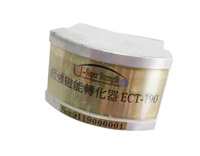 Super Energy Converter (for boiler, boats, freezer, air conditioner application) dramatically is the finest innovations to reduce harmful exhaust emissions while increasing mileage. It means saving your money and improve the engine performance. Saving in fuel from 12% -21%. No power consumption and no maintenance. Magnetic Strength: Around 9,000 + - 100 gauss.